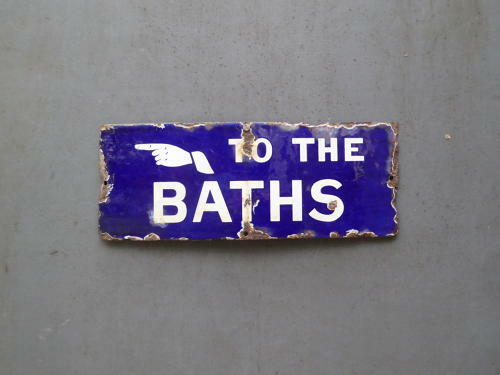 A wonderful small Victorian enamel enamel advertising sign for 'The Baths'. In the traditional cobalt blue & white colourway with pointing hand deatil & beautifully worn by time. A fantastic, rare display piece. Wear commensurate with age, with numerous chips & losses as pictured, unrtestored. UK courier service available at £8 tracked & signed for 24 hour delivery.